Are you shopping for a clumping litter? The best clumping cat litter can make it a lot easier for you to clean up your pet’s waste. You don’t have to sift through the litter box when you use one. It can also help you save money in the long run. What is a Clumping Cat Litter? Is It Safe To Use A Clumping Cat Litter? Clumping cat litter is a type of cat litter that bunches when there are urine and feces present. Clumping cat litter has been around for the past 50 years. A biochemist, Dr. Thomas Nelson, discovered that adding bentonite can improve the way cat litter is disposed of. Bentonite can absorb more than ten times its dry weight in liquid. It can thus form tight clumps which can be scooped out, making removal of litter a lot easier and less embarrassing. Some products, though, are made from other materials like whole kernel corn and walnut shells. It makes cleaning up quick and easy. Scooping is a lot easier when you use a clumping cat litter because your cat’s business is trapped in a firm, tight clump. It can keep your home smelling fresh because it can trap nasty odors in the litter box. It can also catch liquids before these trickle into the bottom of your cat’s litter box. This can force you to chisel and scrape your cat’s litter box as part of your maintenance routine. But by using cat clumping litter, you are freed from this tedious task. Since you can scoop and remove your cat’s business from the litter box, this means that the box can stay cleaner for a longer period. You don’t need to empty the litter box regularly. It is healthier for cats. Cats prefer clumping litter because it has fine grains that feel softer on the surface of their paw. It is cheap. Finally, one of the best reasons why cat owners still prefer clumping cat litter is that it is less expensive than many other types of cat litter like natural or biodegradable cat litter. It’s not surprising that many cat owners still prefer clumping cat litter over other types of cat litter. In a 2009 report of Experian Simmons, clumping cat litter (58%) dominated cat litter sales with natural clay at 24 percent and crystal formulations at 4 percent. There have been concerns that clumping clay litter can pose health risks to cats, especially kittens. Some cat owners feel that kittens, in particular, can taste cat litter and that sodium bentonite could pose health problems like severe gastro intestinal blockage. Older cats, meanwhile, are said to be affected by sodium bentonite dust which could settle on their fur. When the cat licks off this dust, cat owners fear that this could result in health problems later on. However, it should be noted that there are no scientific studies that have shown that sodium bentonite is harmful to cats. Moreover, there’s no evidence about those dangerous effects of clumping litter. Evidence of said cat health problems caused by clumping litter remains anecdotal. Dr. James Richards of the Cornell Feline Health Center in New York is among those who have confirmed that there is no truth to the rumors that clumping cat litter is dangerous to cats. Experts like him say that health concerns brought about by the use of clumping cat litter are unfounded. 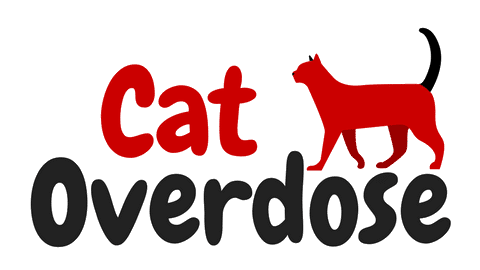 As for cats ingesting litter, it should be noted that it would take a lot of ingested litter to cause health problems to cats. In fact, ingested litter is more of concern for dogs that raid cat litter box than it is for our feline friends. If you’re still worried about your kitten, you can settle for clumping litters that are made from cord, wood, and nut hulls. These natural ingredients are considered safer for kittens. Dust is one of the principal causes of feline asthma. Unfortunately, all types of cat litter can cause dust. There’s no such thing as dust-free litter; even crystal cat litter doesn’t qualify as one. But look for a clumping cat litter with a low dust formula. You can refer to dumping cat litter reviews to know which clumping cat litter has a low dust formula. Studies have shown that cats will likely pick an unscented litter. Our feline friends are so panicky when it comes to scents that they would avoid litter box with a smelly clumping cat litter. Choose a clumping cat litter with odor controlling formula to get rid of those odors that may turn off your pet. If you have more than one cat at home, then you’ll need to get a clumping litter that can mask the odors of multiple cats. You should also consider the size of the bag when choosing a clumping cat litter. A larger bag may be more expensive, but it contains more litter that is enough to fill your cat’s litter box several times. This could give you more savings in the long run. This is an all-natural clumping cat litter that is hypo-allergenic. It contains no plant proteins, perfumes, and deodorants. It is 99% dust-free and utilizes heavy and non-tracking granules. This unscented cat clumping litter is made of 100% bentonite clay. Made in the United States, this product is a multi-cat formula. It leaves very minimal dust. There’s some dust when you pour it from the box. Arm & Hammer is a reputable brand of cleaning products so that you can be assured of the quality of this multi-cat clump and seal clumping litter. It is a revolutionary cat litter that can provide outstanding odor control. It has moisture-activated micro-granules that can control your cat’s odors. It can keep your house fresh and free from cat odors for seven days. Like the item above, this Arm & Hammer clumping cat litter is guaranteed to control your cat’s odors for seven days. But it is lighter than the other clumping cat litter product by 50 percent. It is also 100% dust free. It seals and destroys the odor on contact with a potent combination of baking soda and other odor eliminators. This is a lightweight clumping cat litter that is up to 25 percent lighter compared to other scoopable litters. This is a good choice if the weight of the litter is a concern to you. It is ideal for sensitive and allergic cats as it is fragrance-free. It comes in a jug that is easier to handle compared to a box. This is the only natural cat litter made from whole kernel corn, which is said to be effective at controlling odors. Aside from being effective at odor control, this cat clumping litter has natural wood fibers that provide a gentle fragrance. This is a solid choice if you want an Earth-friendly cat clumping litter. This all natural cat clumping litter is made from walnut shells. It is low tracking and dust free. It also comes in different formula. This fresh cat litter is also known for being absorbent and good at odor control. Similar to the item before it, this is an environment-friendly cat clumping litter. This lightweight clumping cat litter boasts of a continuous odor control formula. It is highly absorbent and is said to be virtually dust free. Although it is lightweight, the clumping power is not compromised at all. Expect light but tight clumps for easy scooping when you use this cat litter from Tidy Cats. These are all excellent cat clumping litter that you can get for your cat. But do you wonder what the best clumping cat litter in our list is? We think that the World's Best Cat Litter with its Quick Cat Clumping Formula deserves that distinction. It is made from an environment-friendly material, whole kernel corn. It is excellent at controlling odor and delivers a gentle fragrance. It is highly absorbent, virtually dust-free, and septic and sewer friendly. It is very economical, too as a small scoop would be enough to take care of your cat’s litter. You’ll get your money’s worth with this cat litter.